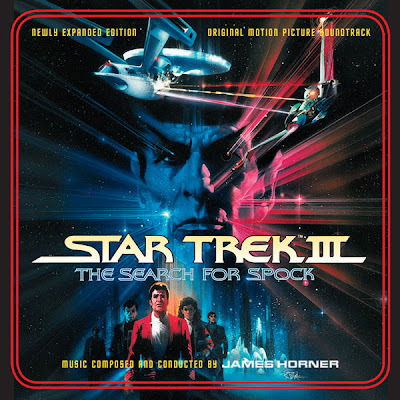 The Trek Collective: Search For Spock soundtrack! Following on from the release of the expanded The Wrath of Khan soundtrack Screen Archives Entertainment and Film Score Monthly will be releasing a new edition of the The Search For Spock soundtrack. The two-disc edition will feature the full score on disc one, and a newly refined version of the original soundtrack release (which features slightly different versions of some tracks). The soundtrack will be released in June, full details, here.